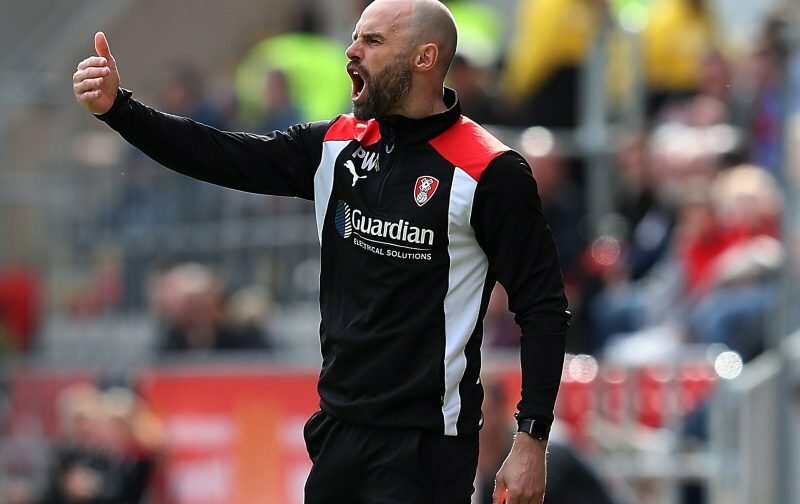 Rotherham United Manager Paul Warne can only be pleased with a point after today’s home game with Reading because with a minute to go it looked like the Millers wouldn’t even be getting that. Speaking to Radio Sheffield after this afternoon’s one-all draw, the Millers Boss said that he was disappointed with the first half (Ed Note – weren’t we all) and Reading could have been ‘out of sight’ before half-time. But the Millers battled back to get a point – a last minute Joe Mattock scuffed goal which will probably be remembered as a lot better than it actually was! But, he had to be there to score it and we are thankful that he was. The first half was poor and we were better in the second but we were better because I feel the right men were on the pitch. Personally, I’d have started with Jamie Proctor today and if he’s fit enough for forty-five minutes then why not ninety? And the same with Clark Robertson, for me, if he’s fit he has to be in the starting eleven. Warney also said that he sees it as a point gained. Sorry, but not for me. No disrespect to Reading but we really should be beating teams like this at home, though I have to admit, they were a lot better than I’d been given to believe. I think today’s game was a should have won game. We probably should have won at Hillsborough last Saturday but I was really pleased with a draw. I was happy with a draw at home to Sheffield United. I’m not very happy about a draw with Reading. First half we didn’t tackle, we didn’t put two passes together, we set off on the wrong foot and we didn’t get going until the second half – you can’t play like that at home. Reading’s caretaker Manager Scott Marshall told the BBC that his team were disappointed in the dressing room after the game and I’m not surprised. Although a bit less of the falling down antics and ‘keeper wasting time and who knows what might have happened? At least we haven’t moved down the table but we entertain West Brom at the New York Stadium next weekend and I can’t see that being an easy game – but I am here to be proved wrong.